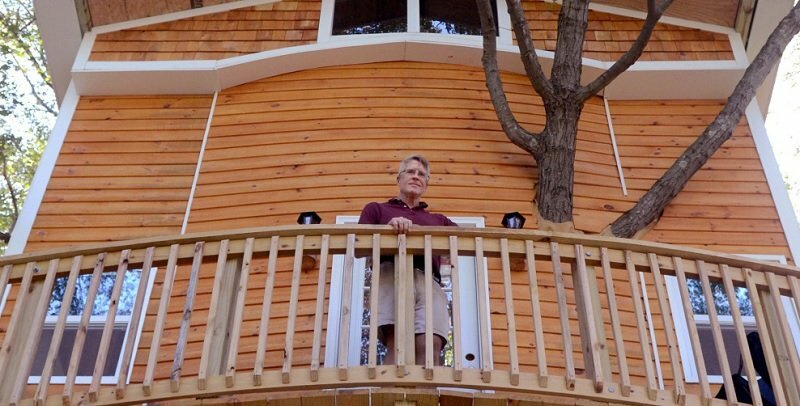 Jay Hewitt, a 59-year-old Massachusetts grandfather, has built a staggering treehouse for his two grandchildren that includes three separate floors, a spiral slide and electricity. Built from store bought supplies and scraps left over from construction jobs, it took two years to complete and stretches across four individual maple trees. Reaching 40-feet in height, the treehouse has the maple trees expanding through it to create a unique rustic environment. 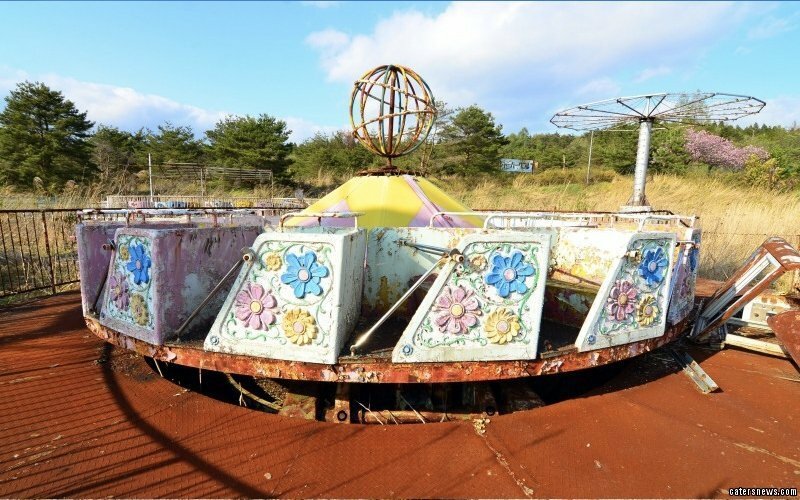 It also has a shingled exterior, bay window and large balcony so that it is not only the perfect place for his grandchildren to play but it can also be used as a summer retreat and as a place to host parties or family get-togethers.